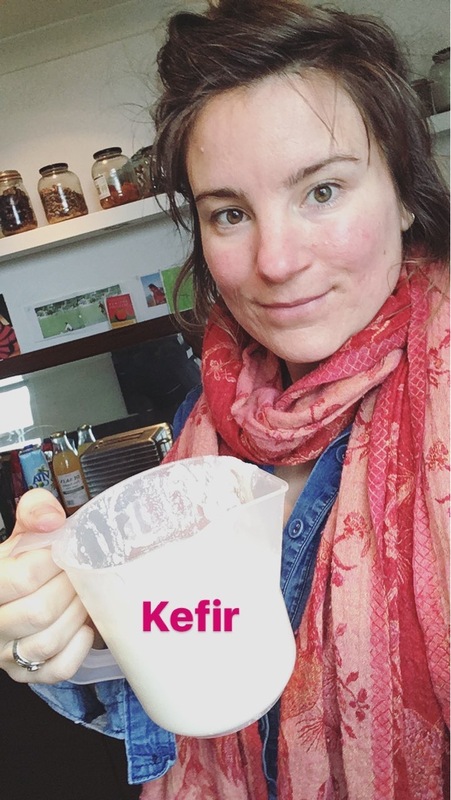 Kefir (pronounced “ke-fear”) is my current favourite fermented food and as I look forward to drinking it most mornings, I just had to share my enthusiasm with you! 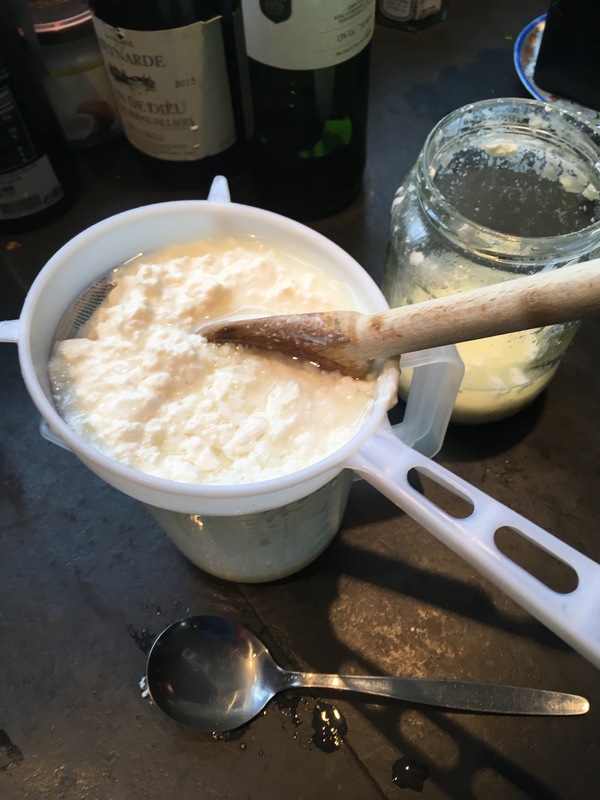 🥛Kefir can be either fermented milk (cow, goat, sheep or coconut milk!) or a sugar based kefir (sugary water or coconut water) -both rich in the same nutrients. Kefir contains high levels of B12, Calcium, Magnesium, K2, Biotin, Folate, Enzymes and Probiotics. 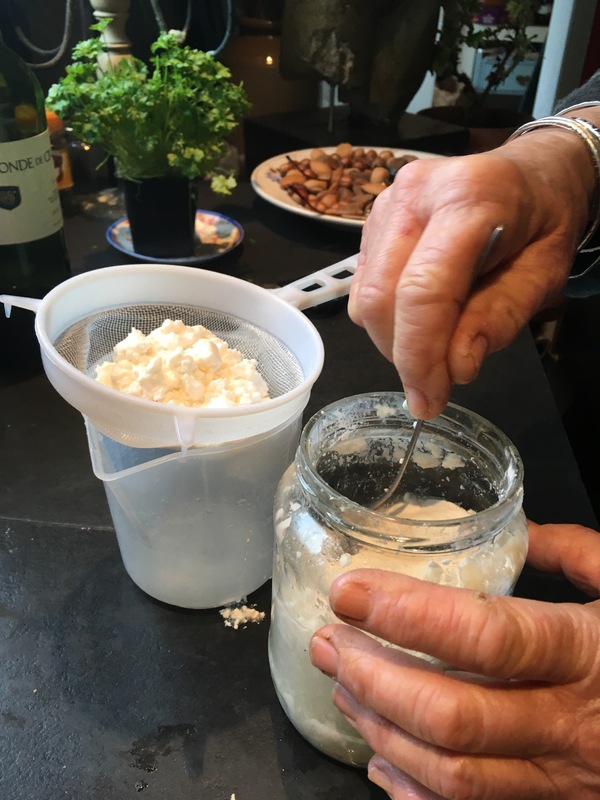 For homemade Kefir starter grains can be found online, or if you have a friend whose kefir grains are multiplying then see if you can have some starter grains from them. • Avoid aluminium utensils when making milk kefir. Stainless steel is acceptable. • Fermented foods often have a sour but clean aroma and flavour. Never consume anything that smells or tastes unpleasant. Instructions taken from The Kitchn website, which is a great source for further information about kefir. Here’s some pictures of my mother-in-law refreshing her grains and splitting them into a new jar for me. 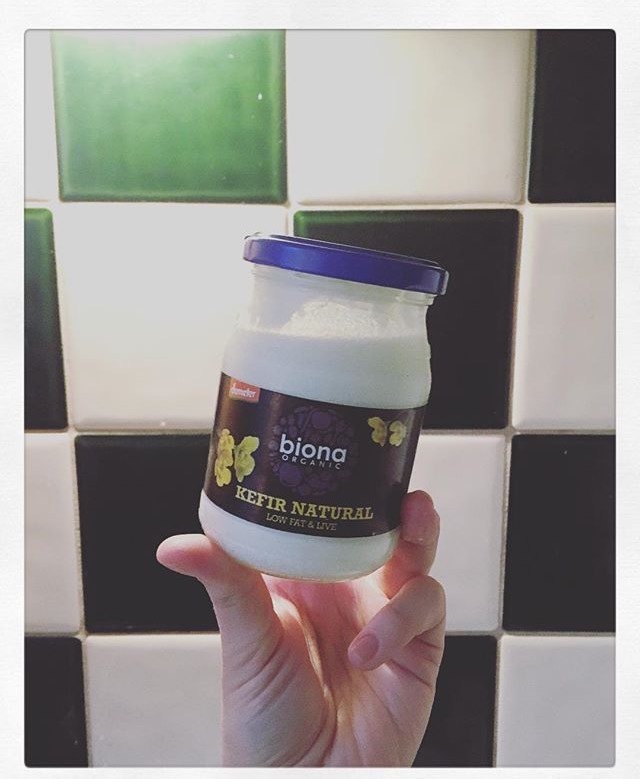 You can also find pre-made kefir in health shops, like this Biona one. Follow my Instagram account Penny’s Plate for a weekly post from my alphabet of wellbeing, the HEALTHABET…. I love kefir and buy an organic “baked milk” one which I love (although not the plastic bottle it comes in) but sadly I have yet to make a home-made kefir I actually like the taste of. Your blog is reminding me I must give home-made another try. Thanks! Ooh yes! What a lovely, encouraging offer. Perhaps Harvest can be the drop off point? !